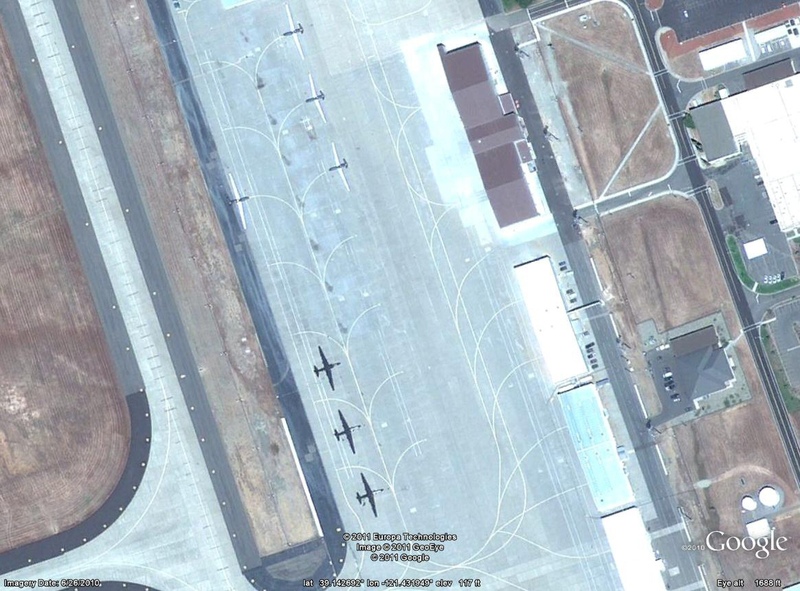 This entry was posted on May 5, 2011, 12:01 am and is filed under Aircraft, Military complexes. You can follow any responses to this entry through RSS 2.0. You can leave a response, or trackback from your own site. What would have Ike done with this tech? In the 70’s I was the science ops engineer for Landsat 4 and the first Thematic Mapper photos after launch were confiscated by one of the alphabet agencies because they showed aircraft on the Detroit airport runway. Much less sensitive than these, but the fear was that the resolution would be good enough to show details of “other” secret installations. That all became moot when the French launched their SPOT spacecraft with even better resolution than Landsat. I have a buddy who works at Beale AFB – he sees these things all the time and says it is an awesome sight to see. I saw one of those beauties over Davis Monthan AFB in Tucson in the early ’70’s. I was quite surprised by how loud it was. I think mostly used for research and weather work these days. Maybe a small amount of reconnisence. Don’t think major contributors to “spying” anymore. Interesting. I had thought the U2 had gone into retirement like its faster brother, the SR-71 Blackbird. A quick google search shows, however, that U2s are still being used all over the world, including to monitor the current crises in Libya and Japan. Gary Powers piloted a U2 shot down by the Soviets in the 1960s, so the airframes on some of these birds must be approaching 50 years old. Like B 52s, these planes are being flown by pilots who had not been born when the olane came out of the factory. The mechanics who keep these things going must be pretty talented. yep, I worked in palmdale for a summer and saw this take off and the SR71 take off every wednesday at 10am. Very cool plane, it must travel 10 ft before it lifts off, the wings are so freaking long. It is a cool sight to see. I, too, saw a U2. I was returning from Okinawa in August (?) 1966, and our plane had stopped over in Hawaii. I was standing on an observation deck watching comings and goings, when a strange looking aircraft took off and climbed steeply. The guy next to me happened to be Air Force, and I commented that that’s what I imagined a U2 would look like. He replied that that’s exactly what a U2 would look like. I saw a U2 up close in Korea. I was in a C-131 taxiing and we taxied past a U2 that was waiting to take off. I thought that was cool. The NASA ER-2 was operational when I was working at NASA Ames in the 1990s. When you heard the roar of engines and checked the clock it was always exactly 11:00 or exactly 11:30. The U-2 does not take off so much as it launches. There are few planes cleared for takeoff (cross the threshold and line up with the runway) at the *same* time as they are cleared to Class E airspace (FL 600+). The plane punches through all the airspace Class levels in one shot. It rotates to 45 degrees and continues to climb at exactly 45 degrees until it disappears as a thin white line (ER-2 version) in the blue sky, still climbing. The reason for 11:00 exactly is the tower has to coordinate with San Jose and San Francisco approach / departure controls to open a few minutes gap in the airspace for the ER-2 to shoot through. A truly amazing aircraft. When the aft fuselage is removed for engine servicing the structure is simple and efficient. Kelly Johnson made it right. The plane is not high tech. It is simply exactly the correct design for the mission. The differences are subtle. Johnson was a great designer. Visit the little airport in Cortez,CO some day. A U2 on a training flight with a solo Taiwanese pilot crash landed there around 1959 or 1960! The airport custodian was certainly surprised. That pilot went on to command the Republic of China Air Force and returned to visit Cortez decades later. There is a display about this at the airport. 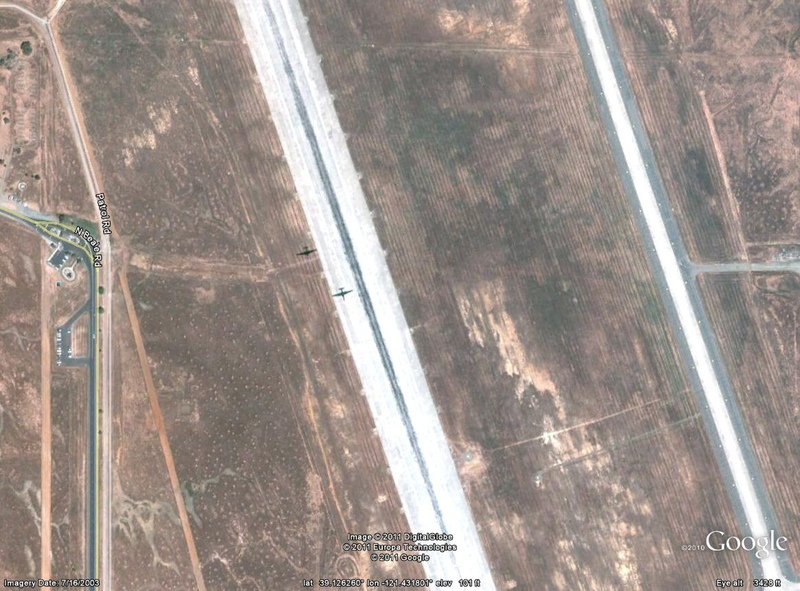 I saw one making circuits-and-bumps at Akrotiri base on Cyprus in April last year. As someona has already said it was surprisingly noisy and it had an incredible climb performance. It seemed to go almost straight up after lift-off. I worked on the U-2A, U-2C, U-2E, and U-2F U-2 aircraft from 1958 to 1966. The last one of these that flew was in 1989. The few 1968 U-2R and 1980 now U-2S models still fly out of Beale. For the indiviual that wrote they they no longer do recon, he is 100% wrong! It is, to my knowledge, the ONLY USAF Manned Recon Bird. You bet it still does recon! I worked on some of the ones I talked about in the first paragraph during the 1962 Cuban Missile Crisis. We were at McCoy AFB, Forida. Thank your God in Heaven above for this old girl! She really kept us out of WW 3! I wrote a book about my times with it called “Me and U-2: My Affair With Dragon Lady”. $20.00 including shipment. Go to if you want an autographed copy. I found another U-2! This one is parked outside a hangar at Al Dhafra Air Base in the UAE. Iran is right across the Gulf, so I assume the US is keeping snooping around there. 24°14’46.06″N 54°33’37.93″E. My son recently became a crew chief on U2’s at Beale and is heading for Korea soon. He loves crewing the bird. Thanks for a few other superb write-up. The area different may possibly any individual obtain that variety of information and facts in such a fantastic method of composing? I’ve a speech in a few days, using this program . on the find this kind of info. I’ll instantly take ones rss when i are unable to to find your own electronic mail subscription web page link or even ezine services. Do you have any kind of? Remember to permit me personally recognize making sure that I can register. Cheers. Another cool feature of the game is one that Minecraft players will also be familiar with: the hook shot. into thinking we had gone somewhere else. bar room is that singles are principally using words instead of eye contact or body language. they are also finding ‘friends’ from around the globe. Are you attempting to get traffic to your website or affiliate link but failing miserably? Are you finding it profoundly frustrating? It doesn’t matter how much tension you put in, nothing you try seems to payoff. Put an end to throwing away your hard work and monetary resources . There’s now a brand new and improved way to spawn rich volumes of traffic on absolute auto-pilot. It’s 100% achievable, no purchase significant, with actually no hush-hush catches. Check out the Free Traffic X process now. This viral technology has been carefully designed to use the power of syndication. I’m keen on the useful data an individual give inside your articles or blog posts household cleaning companies in Orangecounty CA. Let me save ones web site and check once more in this article often. We’re moderately selected I’m going to understand an abundance of new things listed here! All the best for! i do per week. Since he was 18 he’s been working as a database administrator but soon he’ll be on his own. Hi friends, its fantastic piece of writing concerning teachingand fully defined, keep it up all the time. might be played by all 5 band people… all on a single guitar! injured can avail the social security benefits entitled to him. You should look for a personal injury attorney who has a reputation for achieving a fair settlement. a legal battle for compensation. to wear and become thinner and more translucent. isn’t advisable if 2 or more everyone is planning to occupy it. You can inflate it anywhere and put it within your lounge, rec room or study. it up all over the web without my permission. Do you know any techniques to help prevent content from being ripped off?